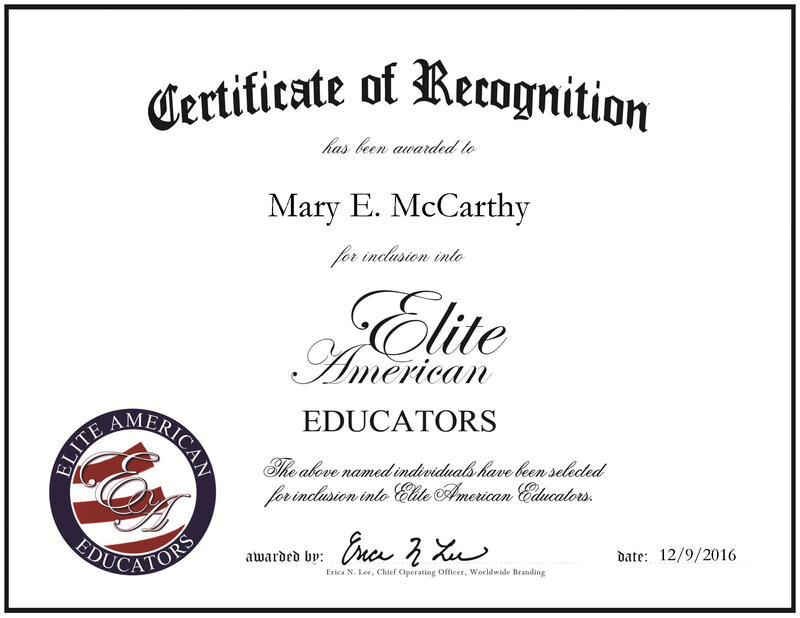 ← Amy E. McBride, Ph.D.
Las Vegas, Nevada, December 9, 2016, Mary E. McCarthy, Retired Teacher of Newton Public Schools and Coach of The Trump Network, has been recognized by Elite American Educators, for dedication, achievement and leadership in coaching. Ms. McCarthy brings 37 years of experience to her role as a coach of The Trump Network. A former physical education teacher, she is experienced in the areas of conflict resolution and imparting life skills. Looking back, Ms. McCarthy attributes her success to her ability to set and achieve her goals. She became involved in her profession because of her interest in sports. Ms. McCarthy received a Master of Arts in education from East Stroudsburg University in 1989. She maintains affiliation with the North Jersey Field Hockey Association and the International Literacy Association. In years to come, Ms. McCarthy hopes to establish her business with the Trump Network. This entry was posted in Physical Education and tagged Hockey, International Literacy Association, Physical Education, sports, Trump Network. Bookmark the permalink.